So, is your company really a customer-centric organization? Actually, it really doesn’t matter if you answer yes or no there because going forward you need to be a customer-centric organization. But what does that mean and how do we get there? Gartner Research Vice President Jenny Sussin says it starts with adopting 10 habits of customer-centric organizations. She will be talking about customer and user experience at the Gartner Application Strategies and Solutions Summit, December 4th to 6th in Las Vegas. First, she joined us to talk about what makes a successful customer-centric organization. 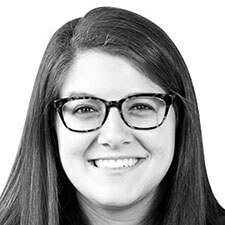 Jenny Sussin is a Research Vice President within the IT Leaders & Tech Professionals team which focuses on applications that the customer experience. Ms. Sussin predominantly focuses on social CRM and the next generation of customers. Prior to joining Gartner, Ms. Sussin worked for IBM, where she was directly responsible for managing the concept, development and execution of social media strategy for IBM’s largest customer event; and for building social media education presentations for various constituencies, including customers, internal marketing and IBM Software’s Super Women’s Group. Toss out those 250-page strategy documents. You only need one page. Gartner expert Heather Colella helps you master the art of the one-page strategy (01:41). Also, Gartner's Mark Driver makes sure you stay in compliance with Java's latest release and support changes (21:37); and we revisit a conversation with former NATO military commander Admiral James Stravidis on a common fear for all of us -- cybersecurity (43:37). We hear all the time how digital transformation is upending the way we do business and the related headaches that come with that change. Product managers not only have to adjust to the changes digital brings to their organizations, but they must anticipate and guide clients and prospects through the changes happening in their enterprises. But are those changes consistent across the world? Gartner expert Scott Morrison spans the globe for answers. Marketing expert Afdhel Aziz calls on companies to "market like you give a damn." But that requires a shift in mindset from selling to serving. Join this extended conversation as we go deeper with Afdhel Aziz on why "Good is the New Cool." Sorry, No data match for your criteria. Please refine your filters to display data. Gartner ThinkCast puts you at the intersection of business and technology with insights from the top experts on how to build a more successful organization, team and career in the Digital Era. Join us every other Tuesday to get your competitive advantage. Thank you for listening to Gartner ThinkCast. Please let us know how we did by giving us a review. You can continue the conversation with us on Twitter @GartnerPodcasts. All content on Gartner ThinkCast is owned by Gartner and cannot be repurposed or reproduced without Gartner’s consent. Gartner is an impartial, independent analyst and advisor. All content provided by other speakers is expressly the views of those speakers and their enterprises. 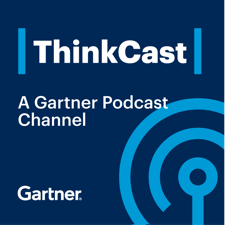 The information on Gartner ThinkCast should not be construed as a Gartner endorsement of any enterprise’s products or services.